Of course, within a clan it is absolutely prohibited to make any sign or say anything to help the partner to guess which order is intended. When playing 1-vs-1 or 1-vs-2, the game is a bit different: The single player team cannot play the same order twice, one turn after another. 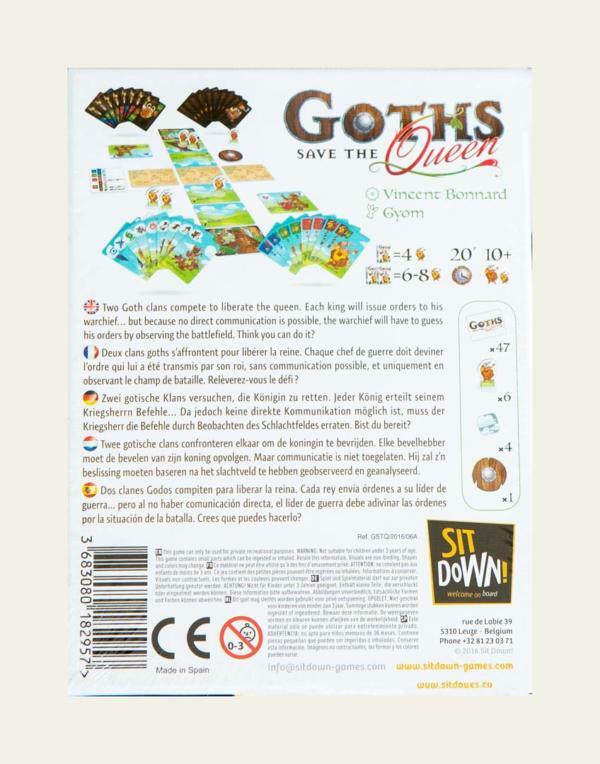 With multiple copies of Goths Save The Queen, you can compete in a 3-vs-3, 3-vs-4 or 4-vs-4 format.